Bread leaves behind an acidic residue. Having an acidic environment in your body is the cause of health concerns like type 2 diabetes and acne, stubborn weight, digestive issues and uncontrolled carb addiction. 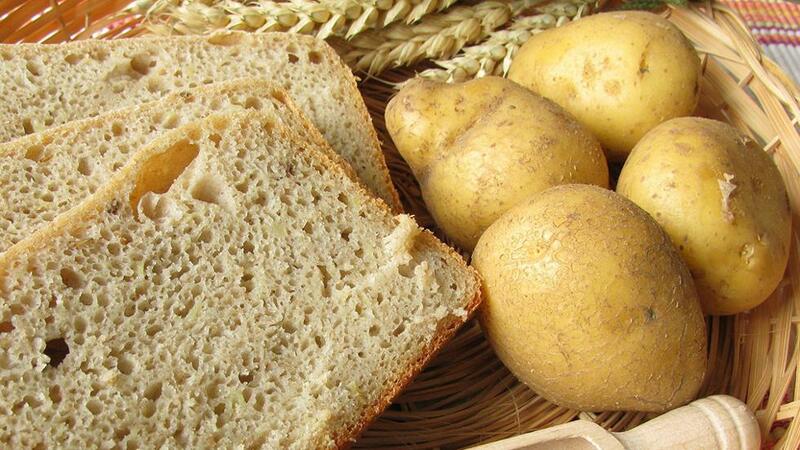 What is a better carbohydrate source, potatoes or multigrain bread? Homemade French fries are far better than store-bought bread. Both are sources of carbs, but all carbs are not equal. Both will raise your sugar level. But potatoes are a better option for two reasons: they do not contain gluten and the leave behind an alkaline residue. Bread has gluten and a lot of people are now sensitive to it. Even if the sensitivity does not exist, in my professional experience I would still ask you to cut down on its consumption and not use it as a source of carb every single day. Gluten in bread can cause inflammation in your gut, which can then turn into auto immunity. If you want to be sure about this, please get yourself and specially your children tested for HLA and ANA. People who test positive have a 100-fold risk of developing autoimmune issues if they consume gluten. Potatoes leave behind an alkaline residue, which is more conducive for the environment. Bread, however, leaves behind an acidic residue. Having an acidic environment in your body is the cause of health concerns like PCOS, Type 2 diabetes, acne, stubborn weight, digestive issues and uncontrolled carb addiction. One great way of eating potatoes is to cook them and have them slightly cold, this way the amount of resistant starch in them almost triples. Resistant starch (RS) is like food for the good bacteria in your gut. The more good bacteria the better for you. When they thrive on RS, they multiply, making your gut healthier. Lastly, cooking your potatoes or frying them using ghee or butter is always better than using cheap refined vegetable oils. So the next time you have an option of eating hash browns versus bread, pick the first option and enjoy them slightly cold.